My grandchildren and I love arts and crafts, and the kids really enjoyed our face painting party using this Face Painting Kit for Kids by Bo Buggles. The two older girls painted faces for the younger ones, then painted each other's faces with this kit. The palette comes with 8 paint colors, two glitters, two brushes (one larger and one smaller for fine details), two sponges and an applicator, so there was plenty for both to use and lots of paint and glitter for all of the kids. They all had a great time with this, and I loved watching the fun. When the night was over and it was time to clean up, the paint came off nicely, mostly with just plain water, but a couple of spots required a small amount of soap. It really wasn't difficult at all to get all the makeup off though, unlike some of the Halloween face painting kits I have purchased in the past. 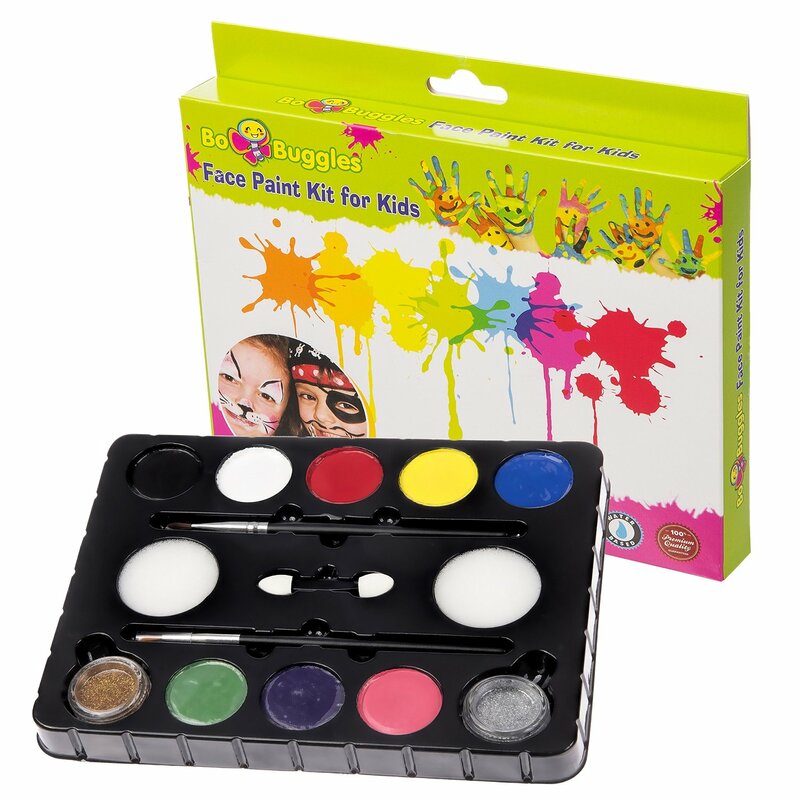 This would make a great makeup kit for a kids party, for Halloween, or any time you or your kids just want to paint your faces and have fun. Even though this is geared towards kids, I know a lot of adults who would really enjoy something like this as well, and would recommend it to any of them.